What is Leprosy? Leprosy a.k.a. Hansen’s Disease is caused by contact to the bacteria Mycobacterium leprae. It spreads through contact with dirty water where the bacteria is present. It rarely spreads from human to human. It is one of the least contagious of the communicable diseases. However, in the early 1860s when people began showing signs of the disease, they did not know that. And, they were terrified. The first case of leprosy (a.k.a. Hansen’s disease) was documented in Hawaii in 1835. The person lived in Koloa, Kauai. 1863 was the year that leprosy grew into an epidemic in the Hawaiian Islands. In 1865, the legislature passed the “Act to Prevent the Spread of Leprosy”. Soon after, King Kamehameha V issued a decree ordering incurable leprosy victims to be removed from the general population. This created a permanent quarantine area on the island of Molokai. 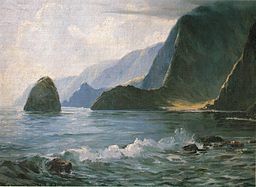 Kalawao was chosen for the resettlement of leprosy victims because it was surrounded by Ocean on three sides and by steep cliffs on the remaining side. Also, unlike other areas of the island, water was in abundance in Kalawao. The first group of patients departed from Honolulu Harbor in 1866 on the schooner, the Warwick. They were left in a hostile environment without shelter or laws to protect them. The first deportees lived in caves, shacks of sticks and leaves, and rock enclosures. People were told to jump overboard and swim for their lives to the island. The crew of the ship threw their supplies into the water then returned home. Fear of the disease was great. Society was abandoning these people. There were many misconceptions about the disease and how one contracted it. One belief was that it was linked to venereal disease. Because Hawaiians were more likely than others to contract the disease, many Caucasians took this as divine judgment for what they viewed as the promiscuous Hawaiian lifestyle. There was anxiety that the Hawaiian population might vanish from the disease. Ironically, this was viewed more as a loss of labor force than a human loss. Thus, immigration to Hawaii was increased to insure a labor force for the growing sugar industy. In 1873, the Norwegian scientist, Armauer Hansen discovered a bacillus leprae, aka Mycobacterium leprae, was the cause of the disease. This proved it was a contagious and not hereditary disease. 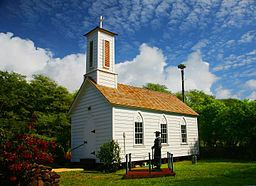 The first church was set up in Kalawao in 1872 without a permanent Priest. However, the Honolulu Catholic Mission had much sympathy for these sufferers. 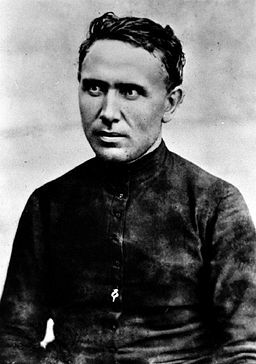 Joseph Damien de Veuster, aka Father Damien, a Belgian Roman Catholic Missionary, arrived in Hawaii in 1865 and was sent to Molokai in 1873. Things changed upon his arrival. He was responsible for acquiring government aid for the people of Molokai. It was due to Father Damien’s efforts that water became available in Kalaupapa, establishing the second colony. Non-patients had previously settled in Kalaupapa. However, by 1895, all of Kalaupapa was acquired for the victims of the disease. In 1905, the County of Kalawao was legislated and the Board of Health was put in charge of administration. Father Damien did everything he could to improve the lives of the sufferers. He worked toward making the settlements self-sufficient thus empowering those who lived there. He treated the people with compassion and respect. His lack of regard for personal precaution led to his contracting the disease in 1884. He continued to aid the people of Molokai up until his death in 1889. In the 1930s, things began to change on Molokai. Attitudes about leprosy were changing. Kalawao was closed down and everyone was moved to Kalaupapa. Also, treatment of the disease was progressing, so rules and restrictions were lifted. This lead to the opening of travel to the island. Leprosy was brought under control in the 1940s. The advent of sulfur drugs helped contain the disease. However, it wasn’t until 1969 that the isolation policy for those with the disease was completely abandoned. The records typically contain name, age, and date sent to Molokai. They may also include the names of parents and siblings or others from the family who were sent to Molokai. It is important to note that many people refused to be deported to Molokai. They could not fathom being separated from their loved ones. Although in some cases a relative could be brought along if designated as “Helper”, this was not the rule. In most case, healthy family members were forbidden from joining their loved ones on Molokai. Some awaiting deportation hid in the wilds near their homes. Others assumed fake identities and migrated to California. There appears to be no record of those who were supposed to go to Molokai but never got there. Note: Thank you to reader, Jody Schooley, who provided the contact information for obtaining these records. This information is accurate as of October 2015 and updates the information that was previously provided in this article. Note: The use of the term leprosy in this article is meant to reflect the historical era in which the term was used. It is not used in anyway to offend anyone. There are several books that cover this period in Hawaii’s history. There are histories as well as fictional accounts such as Alan Brennert’s Molokai. The more we learn the more we understand what it might have been like to learn you had leprosy before there was a cure. Father Damien. Catholic Online Catholic Encyclopedia Digital version. Kalaupapa [pamphlet]. Kalaupapa National Historical Park, National Park Service, U.S. Department of the Interior. Pioneers of the Faith: History of the Catholic Mission in Hawaii, by Robert Schoofs. Sturgis Printing Co. : HI, c1978. Shoal of Time: a History of the Hawaiian Islands, by Gavan Daws. University of Hawaii Press : Honolulu, HI, c1968. Webster’s New World Dictionary of the American Language. Simon & Schuster : NY, 2nd College Edition, c1982. Melody, the Hansen’s Disease Center in Honolulu will do the research for all inquiries of families looking for ancestors in Kalaupapa. This is a service they do for free, it’s what they do. They a a division of the State of Hawaii Board of Health. Jody, thank you for this new information! I haven’t had to request information since the early 2000s. I’m glad to see the process is easy to do. I’ll be adding this information to the article, so thank you for sharing it!